Real music lovers can find the melody in everything. From the park to the concert hall, our friend Nelson Brill is always on the hunt for great sound. 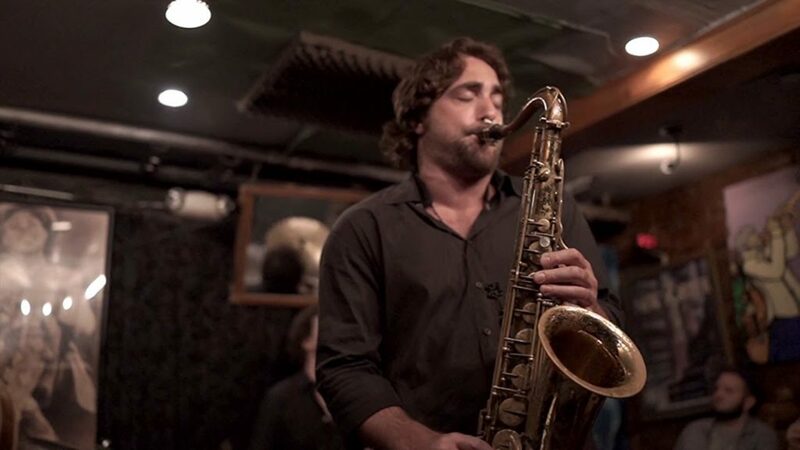 In this blog, Brill takes a look at some young, emerging artists in the Boston area, including Noah Preminger. Preminger is well acquainted with Nordost, as he participated in an A/B test of our Ax Angel Pro Audio cables at EastSide Sound recording studios in NYC. 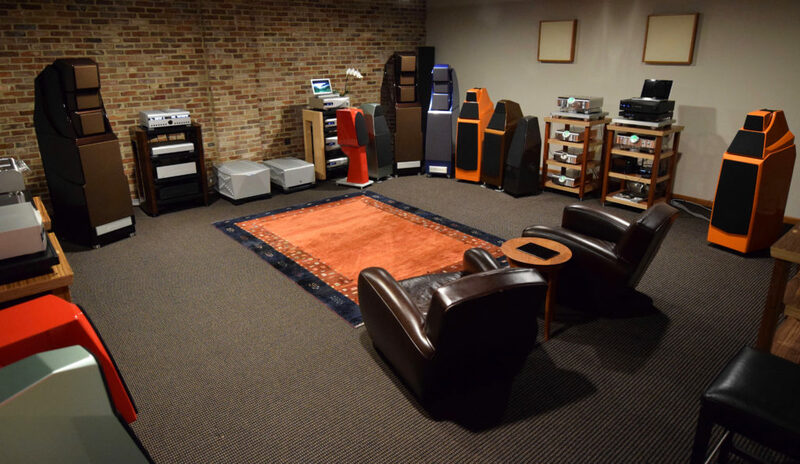 You can watch the A/B test here: Nordost w/ Newvelle Records at EastSide Sound studio. 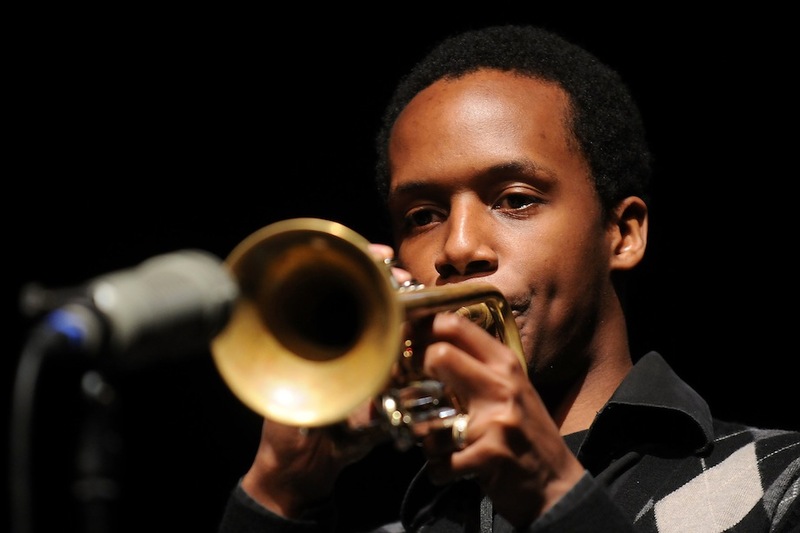 Young jazz musicians are like fledging rock climbers: they hammer in their toe-holds into the granite face of music’s rich heritage and then swing out into free-wheeling space, letting the winds of creative musicianship take them where it will. Several gifted jazz voyagers took to stages in the Boston area recently and brought along their audiences to soar with them in flights of fancy, funk and daring. 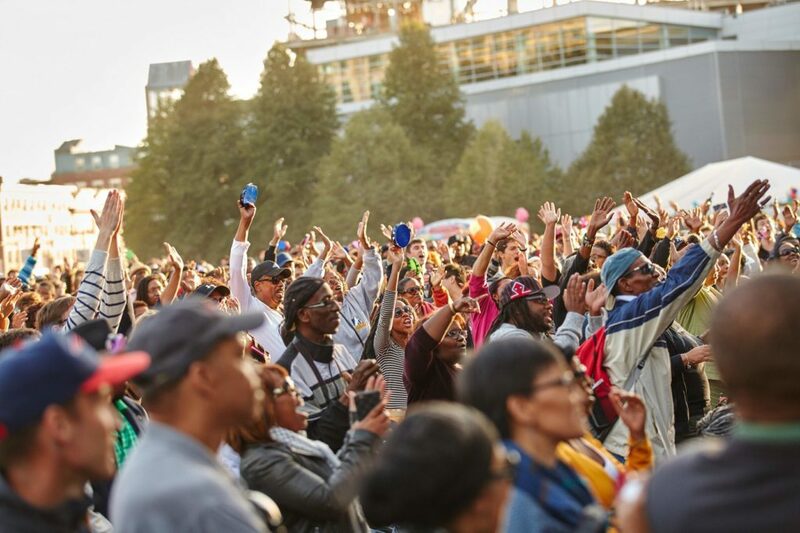 On September 29th, artists appearing at the annual Berklee College of Music (“Berklee”) Beantown Jazz Festival (“Beantown Festival”; www.berklee.edu) delivered colorful and vital music before a rollicking multi-racial crowd thronging the streets of Boston’s South End. This show of diversity at the Beantown Festival, in both music and community spirit, brings out the best in Boston. One band that stood out in its fresh funk and energy was Aggregate Prime, a quintet anchored by the magnetic drummer (and Berklee faculty member) Ralph Peterson. Peterson was a swaggering presence at his drum kit along with his grooving partners: guitarist Mark Whitfield; pianist Davis Whitfield ( Mark’s son); sax and flutist Gary Thomas and bassist Curtis Lundy. The young Whitfield was particularly inspired on his keyboard. He dashed from flowing runs to clusters of blues chords with an effortless swing that had the crowd leaning in to hear every dynamic pounce. At one point, Davis dueled with his father in a blistering funky romp that had the elder Whitfield’s guitar (in all its shimmering colors and staccato high picks) curling beautifully around his son’s keyboard hits and the smart snap of Peterson’s snare and hi-hat. 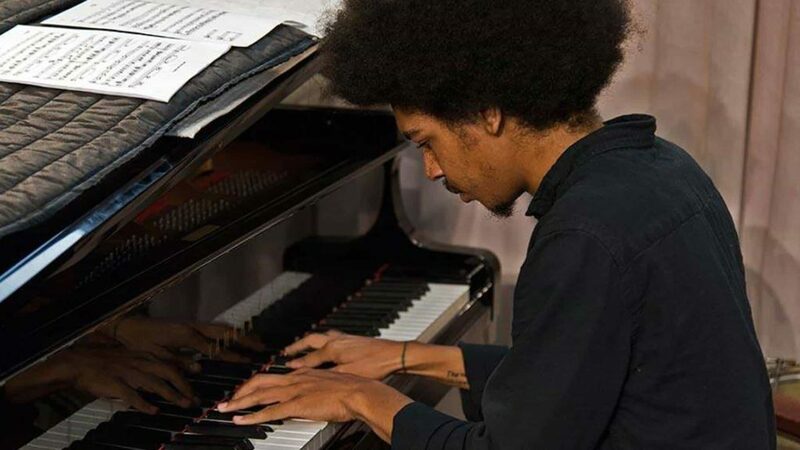 Keep an ear out for more from young dynamo Davis Whitfield at his inquisitive, spirited keyboard. 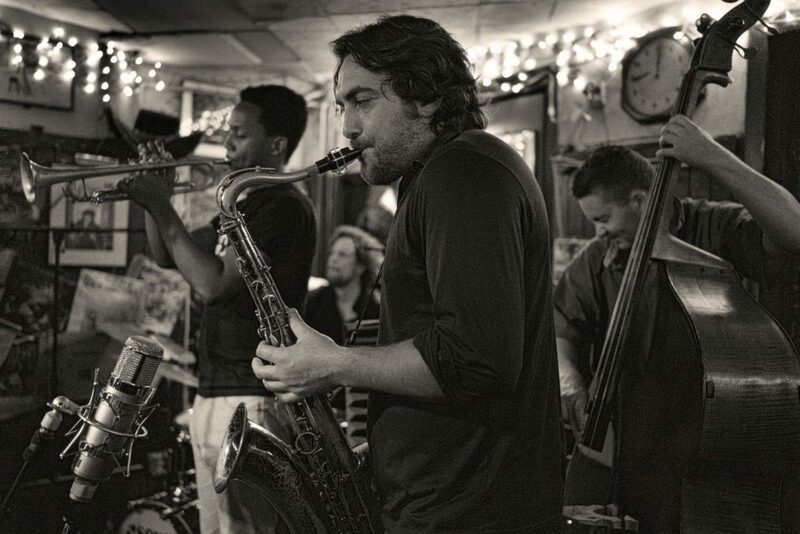 Another feisty young juggernaut of creative power is the dynamic duo of Boston-based saxophonist Noah Preminger and trumpeter Jason Palmer (both graduates of The New England Conservatory; http://www.necmusic.edu). These two young lions lit up the bandstand at the Beantown Festival and then, on October 18th, performed a captivating show in the confines of Scullers Jazz Club in Cambridge, MA. (“Scullers”; www.scullersjazz.com). The young Preminger and Palmer share a special musical synergy that is telepathic – full of curiosity and exploration. 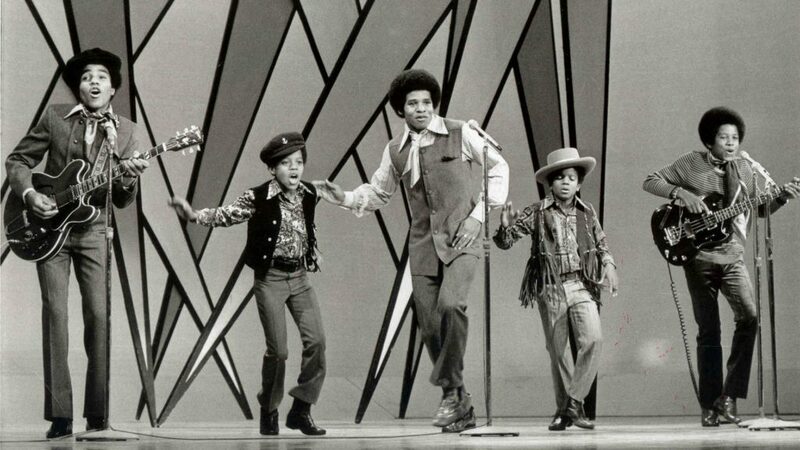 Individually, each possesses a fearless reach in their original compositions and in their solo artistry. Their music is challenging, angular and kinetic. On their ballads, entwining their trumpet and sax colors, they can sound deeply meditative and earthy with a directness of soul (saturated with breathy low sax bellows or delicately soft trumpet slurring). All of this creative play was captured at Preminger’s concert at Scullers which featured Palmer on trumpet, Kim Cass on bass and Dan Weiss on drums. Cass has been a longtime musical partner with Preminger (both in concert and on his recordings) and he always brings a creative bass foundation with funky string slaps, rich harmonic holds and his pungent swing. 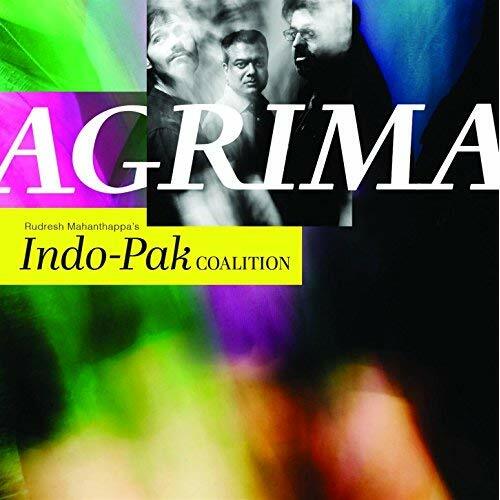 As for Weiss, I have highlighted him before in these pages, most recently in his performance with intrepid saxophonist Rudresh Mahanthappa and guitarist Rez Abbasi in their beautiful Indo-Pak Coalition concert at Boston’s Institute of Contemporary Art and on their soulful album, Agrima [www.RudreshM.com]. 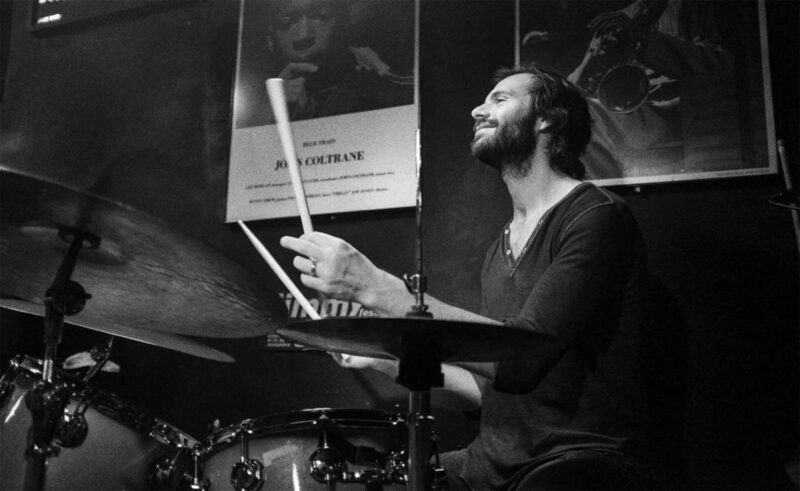 I can think of no young drummer more zestful of rhythmic spirit than Weiss on his lithe drums. At their Scullers show, nothing was beyond the reach of these young explorers: from the blues to bebop to the riches of Baroque music. 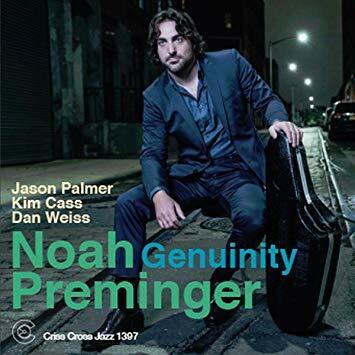 Preminger focused on his latest recording, Genuinity [Criss Cross Jazz], a spiky sweet and exuberant collection, reflecting Preminger’s searching creativity and his instrument’s boisterous (yet keenly meditative and expressive) range. The young lad can play. On his version of Lightning Hopkins’ “Trouble In Mind,” Preminger’s tenor sax shrieked up high to start his solo, then built on slow rolls and raspy tones down low (with several belches) to capture the full arching motion of this slow blues romp. On Preminger’s “Halfway To Hartford,” (the frenetic opening salvo on Genuinity), Preminger first checked his instrument’s neck-string (to make sure it was in place for his furious ride) and then plunged into a rollicking, wacky colorful duel with Weiss, flinging huge carouses of splintered runs, blaring trills, breathy spills and fury in the direction of Weiss’ light/dark pulses on his nimble snare and wood rim hits. “Hartford” was also a platform for trumpeter Palmer to soar where he formed metallic short bursts and colors up and down his fluid register – bursting, slurring and staccato bright – chasing fragments of melody in his dreaming. There is always something bright, inventive and expressive contained in Palmer’s solos; sparks that are never out of the firmament of the melodic themes he explores. For instance, on Preminger’s soulful piece inspired by the Baroque composer, George Frideric Handel, Palmer climbed his nimble register to deliver a raw blast of high blurts, (rapid fire against Preminger’s tender rolls and slow descent), throwing in a bit of creative molten heat to this otherwise tender and glowing ballad. From the meditative glow of Handel, the band effortlessly shifted gears to careen to the grooves of Preminger’s fast little ditty, “Happy Happy!” with Palmer scorching his staccato metallic phrases up high and Weiss tying everything together with his nimble snare and cymbals; his crackling wood rim hits and a flash of swirling brushes (light as a spider alighting on a web). To fully explore these young voyagers’ sounds, take a listen to Preminger’s Genuinity. It captures the creative range of Preminger’s original compositions and his colleagues’ majestic play in a recording that delivers all the up-close energy and tactile heat of this forward thinking band. The recording is excellent with only a lack of depth and at times, a bit of too-wide panning of Weiss’ drum kit (with one cymbal far left from the rest of his drum kit) that can, at moments, distract from all of the great creative action. 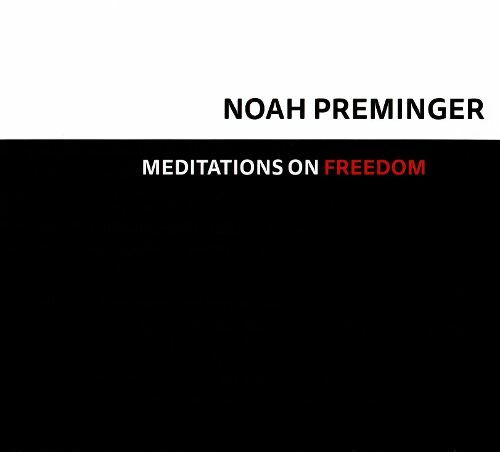 More naturally recorded is Preminger’s 2016 CD, Meditations On Freedom, [Dry Bridge Records; http://www.noahpreminger.com ] where Preminger, Palmer, Cass and their burbling pal on drums, Ian Froman, explore Preminger’s original tunes (and a few choice rock and soul nuggets) that speak to Preminger of our political times and inspire calls for social change. This particular recording is more intimate in that it was recorded in the beautiful space of Futura Productions in Roslindale, MA. (www.futuraproductions.com) and presents all players naturally without the distraction of any artificial panning of instruments. Preminger’s arrangements (such as on the bluesy swing of George Harrison’s “Give Me Love, Give Me Peace On Earth” or the stoic majesty of Sam Cooke’s “A Change Is Gonna Come”) are astonishing in their compositional skill and their bracing expression. The entwining of Preminger and Palmer on these originals is beautiful to hear as sax and trumpet meld in slow meditative flow (as on “Mother Earth” or “Broken Treaties”) or in nimble swing (with Cass and Froman adding their dapper swing) on Preminger’s elegantly strident, “We Have A Dream”. 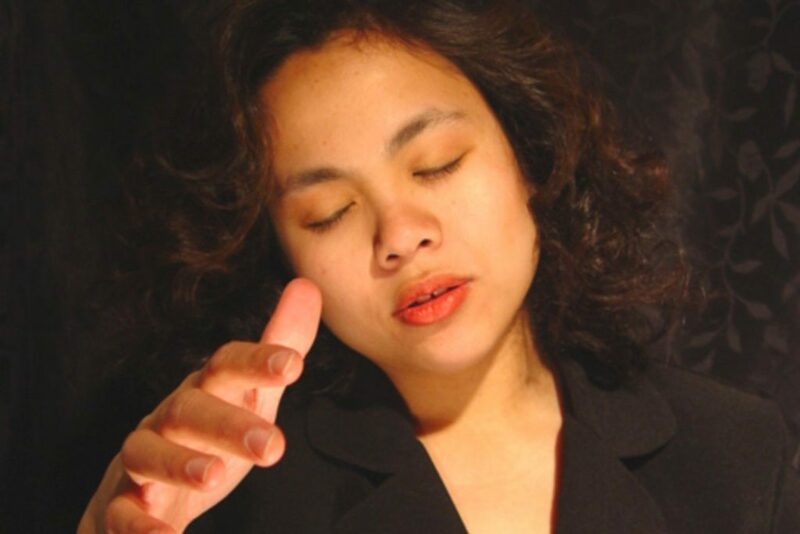 And speaking of elegance and swing, (with firepower to spare), there is nothing more sonically fun and inventive than hearing sparkling new compositions emerging from the mind of young Boston-based composer (and Berklee faculty member), Ayn Inserto, writing for her talented Jazz Orchestra. The Ayn Inserto Jazz Orchestra squeezed into the intimate confines of the Lilypad in Cambridge, MA. (http://www.lilypadinman.com) on November 12th and took the place by storm. 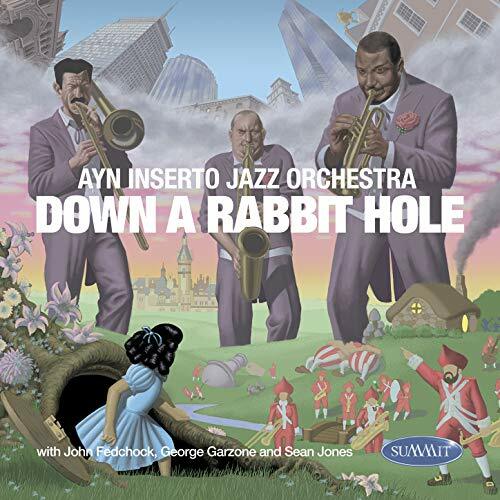 The group heated up the capacity audience with their blasts of woodwind and brass colors, all taken from their new album, Down The Rabbit Hole ( “Rabbit Hole”) [Summit Records]. Rabbit Hole was recorded at a Berklee College of Music studio and delivers all of this vivacious band in crisp open sound, with good width and depth to its soundstage and excellent image dimensionality (where, with a quality component audio system, you can visualize each player on the layered stage with nice pockets of air surrounding each instrument’s attack). Of particular highlight is drummer Austin McMahon with his granite time foundation and effortless burble. On this new recording, McMahon propels the orchestra from deep in his pocket position, with nice depth and natural dimension to his light sway on his drum kit. Inserto’s compositions are like whirligigs: one moment they point in a pensive direction with simmering woodwind and brass colors supported by big chunks of deep bass and piano pulses. When the winds of change come, her compositions fire up with bebop glee, spinning and soaring with brass, woodwinds and piano colors galloping around unpredictable tempos or whiplash melodic turns. 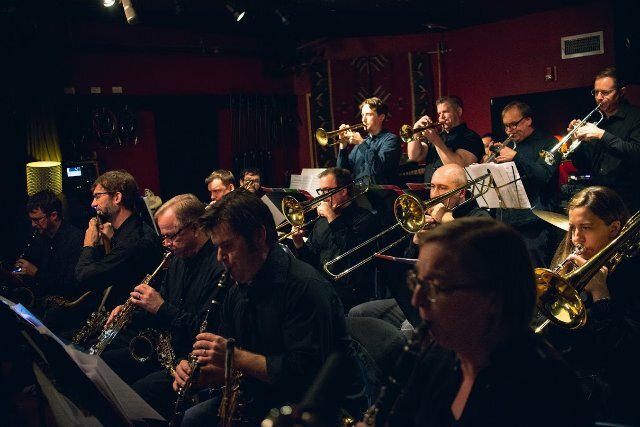 At such moments, members of her Jazz Orchestra always glance at each other with knowing smiles all around, clearly honored to be a part of Inserto’s challenging and joyful creations. Inserto led her Orchestra at the Lilypad in tunes from Rabbit Hole in their album’s sequence, beginning with Inserto’s “Three And Me.” This tune combined all elements of Inserto’s fresh and colorful music: tight, curling and punchy grooves that left space for improvisations to soar. The piece combined contrasting colors of Inserto’s fancy: a glittering bright solo from trumpeter Daniel Rosenthal; a gutsy, over the top brawl (of fluid register chaos) from tenor saxophonist Mark Zaleski and a warm last lap from John Fedchock’s soft trombone. 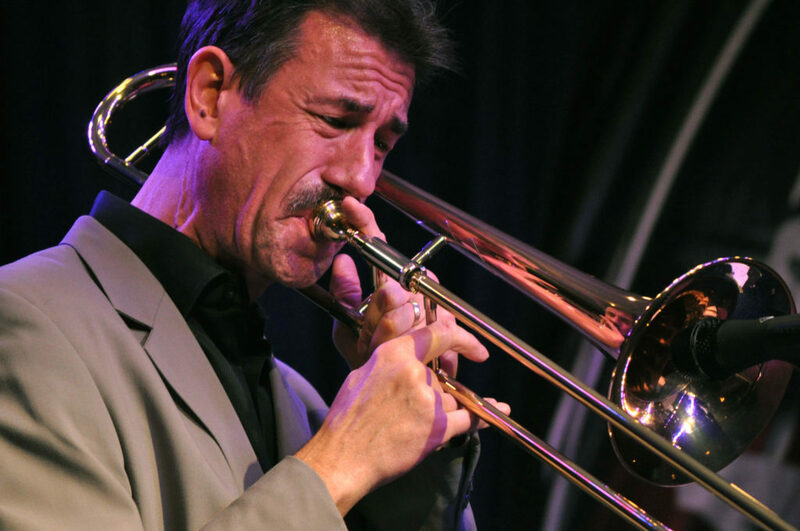 Fedchock also lent his glowing trombone to turn the soft churn of “Mister and Dudley”, a curvaceously swinging number that also contained Inserto’s love for a swelling undertow of deep brass colors. The title track whizzed by on a hurtling groove pumping on Sean Farias’ bass; Kathy Olson’s baritone sax and Jennifer Wharton’s bass trombone. This dazzling gem ended with the band holding a unified high trill, in bone-rattling fashion. Also tumultuous was the duet between soprano saxophonist Alan Chase and alto saxophonist Rick Stone as they took “Part 2” of Inserto’s “Ze Teach and Me” to its ultimate knotty height by sending their frenetic conversation of trills, squeals and comic rolls into the packed hall. Leave it to the ever-creative Inserto to conclude the concert, (and her Rabbit Hole), with a soulful arrangement of the classic, “I’ll Be There”, originally recorded by the Jackson Five. Her arrangement started with a softly meditative solo from pianist Jason Yeager, using his soft touch to illuminate glowing blues chords and meditative note combinations. Yeager left his last note hanging precipitously to be plucked in the air by trumpeter Jeff Claassen as he cast the chorus of “I’ll Be There” (with his deep Fluegelhorn tone) out into the swirling colors provided by his partners. Inserto’s creation ended on a chorus of clarinets in woody, upturned crescendo – soaring with youthful energy and promise. 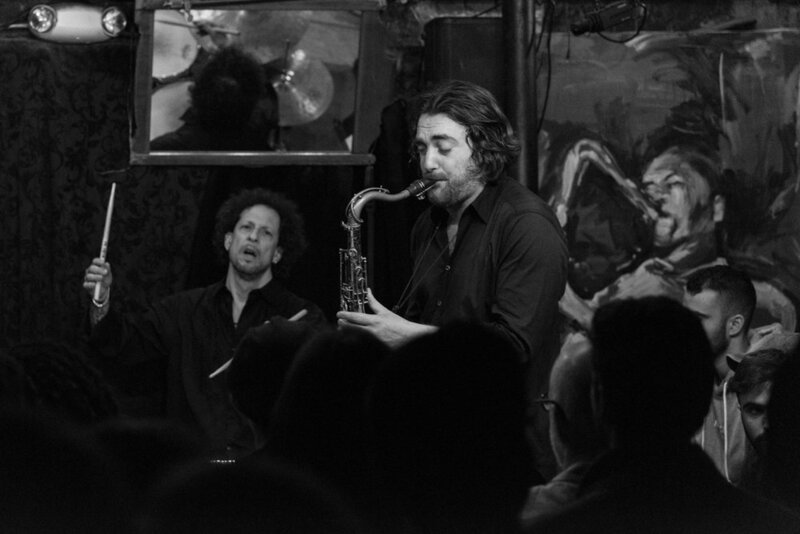 -Noah Preminger continues his association with the stellar audiophile label, Newvelle Records, (http://www.newvelle-records.com ). See Newvelle’s website for all details regarding their upcoming 4th season of subscription LP releases, including this new one from Preminger. 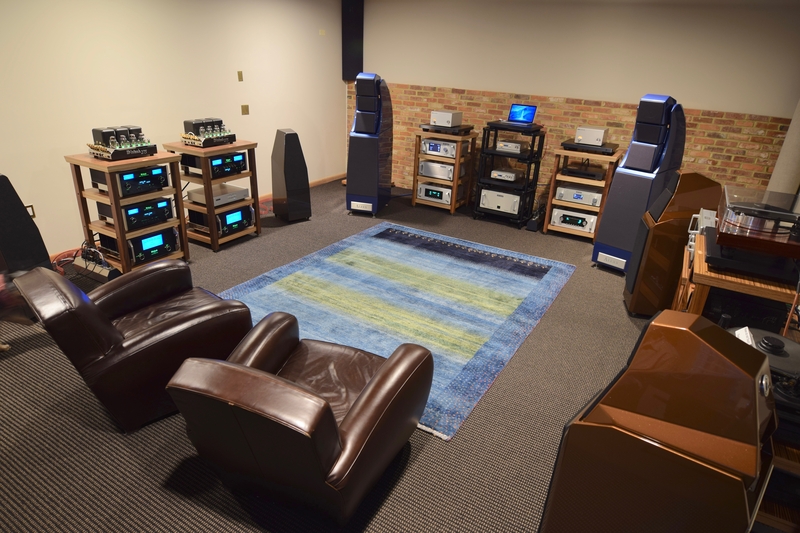 Note too that Newvelle Records and the reference audiophile cable company, Nordost (www.nordost.com) have collaborated by utilizing Nordost cabling in the recording studio to further improve the sound quality of these intimate recording sessions. 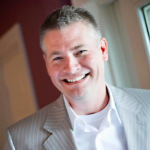 -Jason Palmer has just released his recording, Rhyme and Reason [on GiantStep Arts; a non profit organization dedicated to supporting musical projects of its artists – see more at http://www.giantsteparts.org . 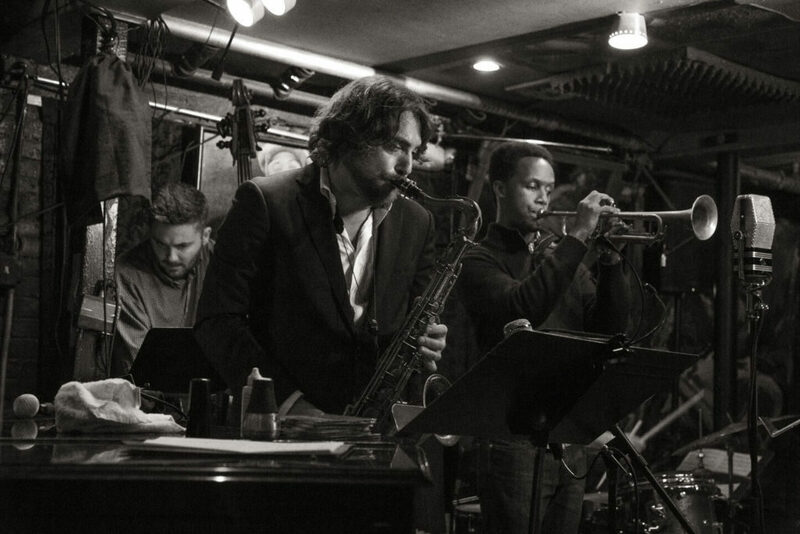 The recording is a double album of Palmer originals recorded live at the Jazz Gallery in NYC with the superb lineup of Mark Turner on tenor sax; Matt Brewer on bass and Kendrick Scott on drums. Nordost is happy to be attending CES in Las Vegas January 8-11th. Nordost is teaming up with VTL this year on floor 29, room 201 at the Venetian, to put on a show-stopping system. Take advantage of this great opportunity to hear, firsthand, what our transformative products have to offer your home audio system. We hope to see you there! 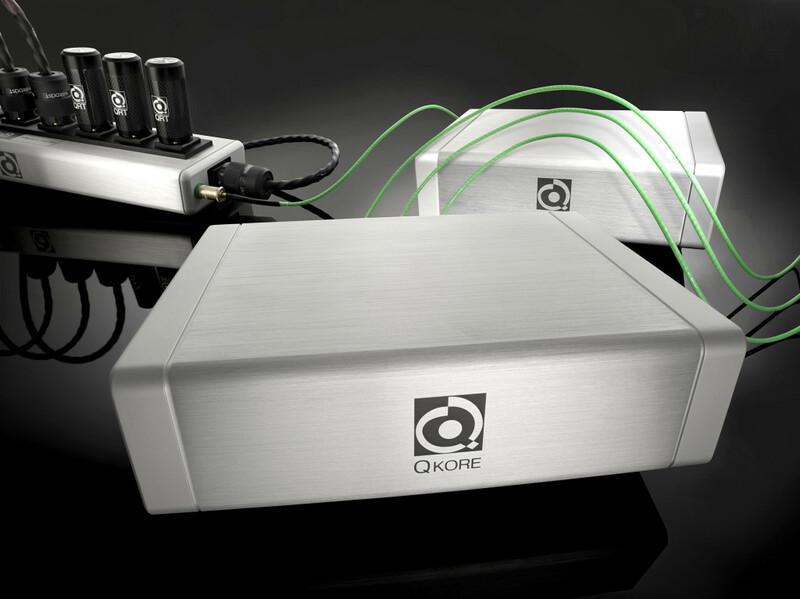 After receiving over half a dozen reviews in little over a year, Nordost’s QKORE Grounding Units continue to impress industry insiders, reviewers, and consumers alike. 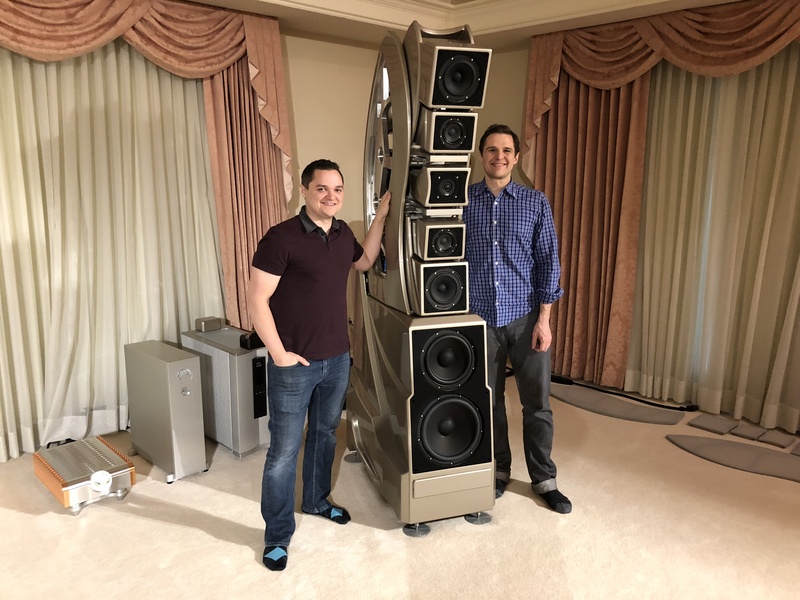 The most recent QKORE evangelist is Stereophile’s Jason Victor Serinus. In his article, published in the January issue of Stereophile, Jason was blown away by the improvements gained by introducing QKORE Grounding Units to his system. 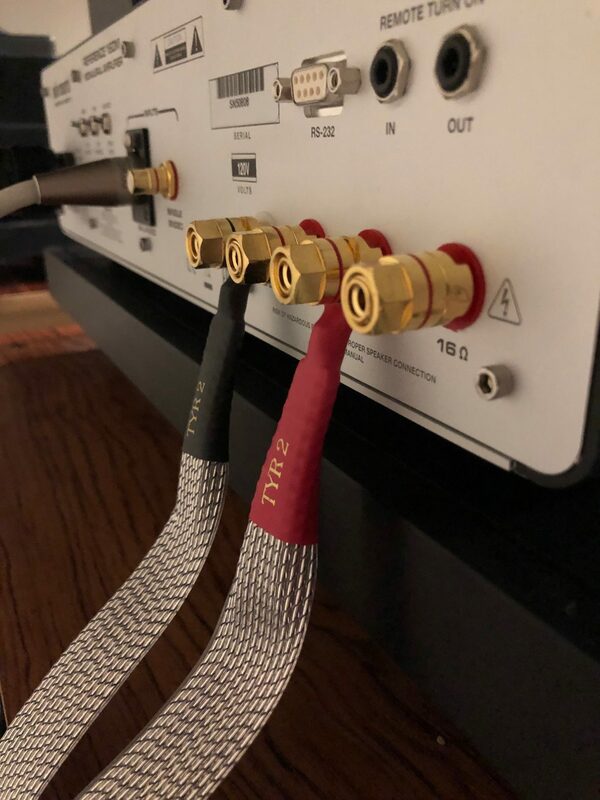 According to Jason, the noticeably widened soundstage, increased detail, and natural quality of decay that he found while using the QKORE validates the monetary expense and time commitment that audiophiles expend chasing the idyllic listening experience.